BlackNGreen is one of the leading innovators and providers of VAS products and telecom solutions to the top telecom operators, including Airtel and Vodafone, across the world. BNG’s VAS products are enabling over 800 million users globally, to experience state-of-the-art VAS offerings. To serve the subscribers well, BNG developed and maintained hardware-based IVR system for its carrier partners. But with its business growing, BNG realized that its existing IVR system was not flexible to fulfill the needs of its partners. What is needed is to build a high capacity, scalable IVR system to face ever changeable needs of subscribers. 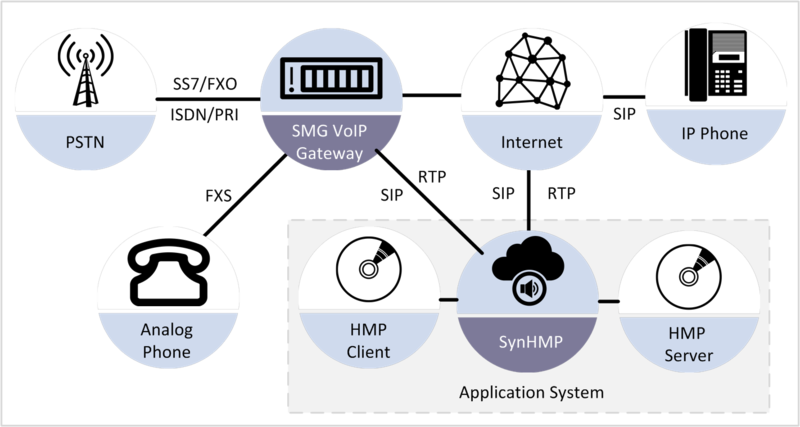 To address this issue, BNG decided to implement SynHMP, Synway’s Host Media Processing platform, to deploy a high capacity IVR system.